Find out how Israeli scientists are manipulating the tiniest parts of matter to make life better for millions. Think of a tiny robot transporting drugs to a cancer cell in your body. An artificial retina to restore lost sight. Self-cleaning windows and bullet-proof fabrics. It’s all possible today with nanotechnology from Israel. The INNI Board of Directors is appointed by The Chief Scientist in the Ministry of Economy. The INNI BoD operates out of The MAGNET Program at the Office of the Chief Scientist. The mission of INNI — the Israel National Nanotechnology Initiative is to make nanotechnology the next wave of successful industry in Israel by creating an engine for global leadership. A primary task for INNI is to promote fruitful collaboration between Israeli and global nanotechnology stakeholders, particularly for projects that lead to continuing success in academia and industry. Establishing a national policy of resources for nanotechnology, with the aim of faster commercialization. Long-range nanotechnology programs for scientific research and technology development in academia and industry, and promoting development of world-class infrastructure in Israel to support them. Leading in the creation of projects that promote agreed national priorities; allocate their budgets and review development progress. Actively seeking funding resources from public and private sources in order to implement the selected projects. Promoting development of innovative local nanotechnology industries which will strongly impact Israeli economic growth and benefit investors. Encouraging Academia and Industry cooperation with public access to a national database of Israel’s nanotechnology researchers and industry. Effective access to information about Israel’s researchers and companies accelerates cooperation on R&D projects and on innovative new products. Israel’s nanotechnology National Database may be accessed here or from the link in the INNI website upper navigation menu. Key to development of nanotechnology-based industry in Israel is promotion of academia–industry collaboration. INNI in collaboration with d&a Visual Insights has created a unique graphic mapping engine of Israel’s nanotechnology academia and industry. It is an extensive database of companies and researchers which is accessed with an integrated text and graphical mapping search engine. It is the ideal starting point to locate researchers and companies with the unique knowledge and skill sets for cooperation in research projects and the transfer of technology for innovative products and establishing new nanotechnology enterprises. Selection of antibodies and peptides against electronic materials, electrical control over bioreactions, bioassembly of electronic devices. Prof. Levy is a member of the applied physics department at the Benin School of Computer Science and Engineering and is a renowned researcher in nanophotonics He is a member of the Harvey M. Kruger Family Center for Nanoscience and Nanotechnology at the Hebrew University. A graduate of the Technion in physics and materials engineering, he subsequently earned a Ph.D. in electro-optics at Tel Aviv University in 2002. He then was awarded a Rothschild Fellowship for post-doctoral work at the University of California, San Diego, which he completed in 2006. Prof. Levy has published until now 55 scientific articles and has had a number of his research discoveries patented. The NanoOpto group is affiliated with the Applied Physics Department at the Hebrew University of Jerusalem, Israel. Our research is mainly focused on Silicon Photonics, Polarization Optics, Plasmonics and Opto-Fluidics. Nanotechnology is the use of tiny structures – less than 1,000 nanometres across – that are designed to have specific properties. Nanotechnology is an emerging field in science that is used in a wide range of applications, from consumer goods to health products. support the regeneration of cells and tissues. nano-scale particles of the active substance, such as Abraxane (paclitaxel), Emend(aprepitant) and Rapamune (sirolimus). 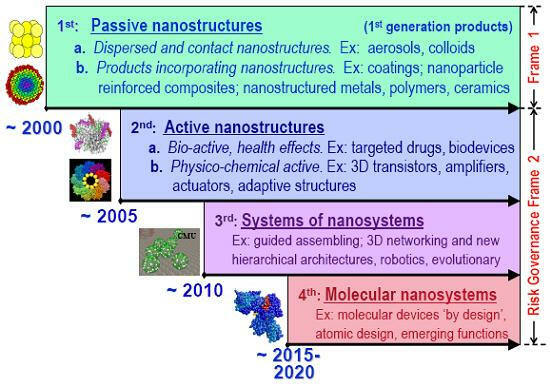 The development of medicines using newer, innovative nanotechnology techniques may raise new challenges for the Agency in the future. These include discussions on whether the current regulatory framework is appropriate for these medicines and whether existing guidelines and requirements on the way the medicines are assessed and monitored are adequate. The Agency also needs to consider the acceptability of new testing methods and the availability of experts to guide the Agency’s opinion-making. 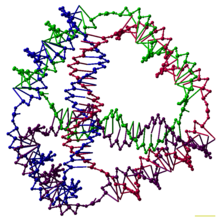 In 2009, the CHMP established an ad hoc expert group on nanomedicines. This group includes selected experts from academia and the European regulatory network, who support the Agency’s activities by providing specialist input on new scientific knowledge and who help with the review of guidelines on nanomedicines. The group also helps the Agency’s discussions with international partners on issues concerning nanomedicines. The group held the first ad hoc expert group meeting on nanomedicines on 29 April 2009. In 2011, the CHMP began to develop in 2011 a series of four reflection papers on nanomedicines to provide guidance to sponsors developing nanomedicines. reflection paper on surface coatings: general issues for consideration regarding parenteral administration of coated nanomedicine products, published in August 2013. The fourth document, a draft reflection paper on the data requirements for intravenous iron-based nanocolloidal products developed with reference to an innovator medicine, will be released for a six-month public consultation in 2013. The group used their extracorporeal circuit to remove lead and the drug digoxin from the blood of rats. Target compounds in blood adhered to the nanoparticles as they collided within the circuit. The nanoparticles were then collected by magnetic separation with the toxin immobilised on the particle surface before blood could re-enter the body. One of the major applications of nanotechnology is in the area of nanoelectronics with MOSFET‘s being made of small nanowires ~10 nm in length. Here is a simulation of such a nanowire. 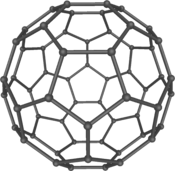 .Nanotechnology involves developing materials or devices in the size range of 1 nm to 100 nanometer. At this scale quantum mechanical effects have very important implications in the quantum realm; nanotechnology controls the properties of material on an atomic level. Novel Drugs: Cancer Chemotherapy Using Nanoparticles developed with Nanotechnology May Reduce Harmful Side Effects of Antineoplastic Agents.Chemotherapy for cancer is most of the time associated with one or the other harmful side effect of antineoplastic drugs as these chemotherapeutic drugs themselves are very cytotoxic, i.e. they damage normal cells too. 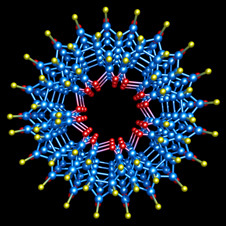 A new drug delivery technique is being studied which uses Nanotechnology to deliver a cytotoxic drugs specifically directly in to the cancer cells , such drug delivery technique will be able to provide an efficient cancer chemotherapy that do not have much side effects as they pose today , it was observed that with nanoparticle drug delivery system the concentration of drug required to kill the cancerous cell is lesser than required in conventional chemotherapy therapy. 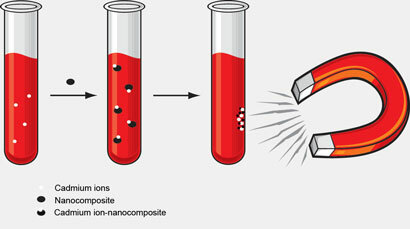 As the drug is absorbed efficiently in to targeted cells and also drug is protected from degradation in blood stream , certain class of the anticancerdrugs are very unstable and stay in plasma for a very little time, therefor to achieve the required effect a higher concentration of drug may be required to be administrated.Nanotechnology drug delivery system involves placing an anticancer drug in to a tiny particles known as nanoparticles which recognize cancerous cells and deliver the drug only to cancerous cells , as nanoparticles are very minute particles (1 nm to 100 nanometer) , the dose of drug required to kill the cancerous cells were also found to be very low as compared to conventional therapy . As the required effective dose it self gets reduced than conventional therapy , the harmful effect of anticancer drug are also likely to be reduced. A team of scientists from the Massachusetts Institute of Technology and Brigham and Women’s Hospital conducted study. They stored an prodrug of cisplatin (which is used in most of cancer chemotherapies) within nanoparticles which they developed to target a specific protein in cancerous cells in prostate gland. Nanotechnology cancer treatments would use gold particles to carry anticancer drugs straight to the cancer. Learn about nanotechnology cancer treatments. 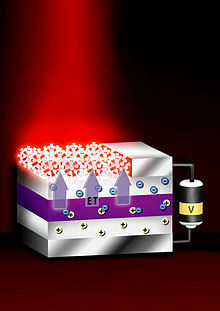 Nanotechnology is one of the most popular areas of scientific research, especially with regard to medical applications. We’ve already discussed some of the new detection methods that should bring about cheaper, faster and less invasive cancer diagnoses. But once the diagnosis occurs, there’s still the prospect of surgery, chemotherapy or radiation treatment to destroy the cancer. Unfortunately, these treatments can carry serious side effects. Chemotherapy can cause a variety of ailments, including hair loss, digestive problems, nausea, lack of energy and mouth ulcers. But nanotechnologists think they have an answer for treatment as well, and it comes in the form of targeted drug therapies. If scientists can load their cancer-detecting gold nanoparticles with anticancer drugs, they could attack the cancer exactly where it lives. Such a treatment means fewer side effects and less medication used. Nanoparticles also carry the potential for targeted and time-release drugs. A potent dose of drugs could be delivered to a specific area but engineered to release over a planned period to ensure maximum effectiveness and the patient’s safety. These treatments aim to take advantage of the power of nanotechnology and the voracious tendencies of cancer cells, which feast on everything in sight, including drug-laden nanoparticles. One experiment of this type used modified bacteria cells that were 20 percent the size of normal cells. These cells were equipped with antibodies that latched onto cancer cells before releasing the anticancer drugs they contained. Another used nanoparticles as a companion to other treatments. These particles were sucked up by cancer cells and the cells were then heated with a magnetic field to weaken them. The weakened cancer cells were then much more susceptible to chemotherapy. It may sound odd, but the dye in your blue jeans or your ballpoint pen has also been paired with gold nanoparticles to fight cancer. This dye, known as phthalocyanine, reacts with light. The nanoparticles take the dye directly to cancer cells while normal cells reject the dye. Once the particles are inside, scientists “activate” them with light to destroy the cancer. Similar therapies have existed to treat skin cancers with light-activated dye, but scientists are now working to use nanoparticles and dye to treat tumors deep in the body. From manufacturing to medicine to many types of scientific research, nanoparticles are now rather common, but some scientists have voiced concerns about their negative health effects. Nanoparticles’ small size allows them to infiltrate almost anywhere. That’s great for cancer treatment but potentially harmful to healthy cells and DNA. There are also questions about how to dispose of nanoparticles used in manufacturing or other processes. Special disposal techniques are needed to prevent harmful particles from ending up in the water supply or in the general environment, where they’d be impossible to track. Gold nanoparticles are a popular choice for medical research, diagnostic testing and cancer treatment, but there are numerous types of nanoparticles in use and in development. Bill Hammack, a professor of chemical engineering at the University of Illinois, warned that nanoparticles are “technologically sweet” [Source: Marketplace]. In other words, scientists are so wrapped up in what they can do, they’re not asking if they should do it. The Food and Drug Administration has a task force on nanotechnology, but as of yet, the government has exerted little oversight or regulation. 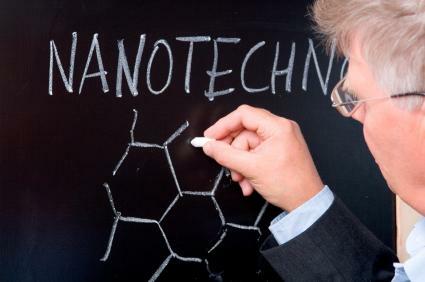 Nanotechnology, perhaps, has been most popularly recognized for it’s applications in robotics. Nano-robotics, although having many applications in other areas (such as particle manipulation and, has the most useful and variety of uses in medical fields. Drugs have been shown to be effective during treatment and so has surgery. However, both are only temporary. We do not have much control over the drugs that have entered our body. As mentioned in the “Applications in Drugs and Therapeutics” page, nanotechnology can play an important role by being used for designing drug delivery systems. 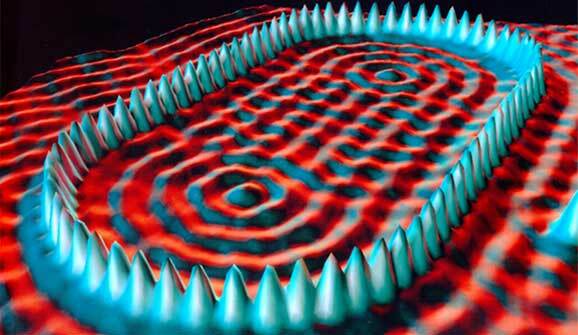 Nanorobots, once fully developed, will be more effective than drugs. 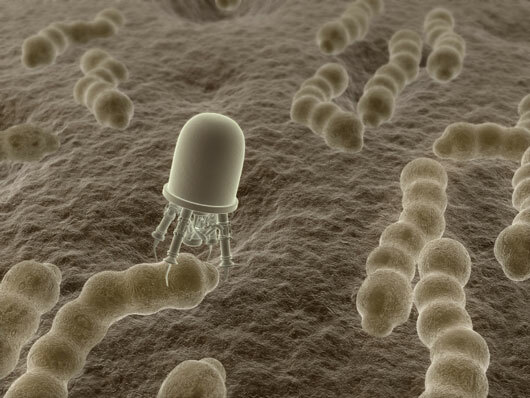 This is because nanobots cab always be present in the body, fighting off pathogens such as viruses and tumors. Nanorobots will not require any additional treatment and will become relatively cheap after development. · To cure skin diseases, a cream containing nanorobots may be used. This cream would remove the right amounts of dead skin cells, remove excess oils which may cause oily skin, insert missing oils, apply the specifically right amounts of natural moisturizing compounds. Dermatological problems would thus be avoided or removed. · A mouthwash full of water and smart nanorobots could identify and destroy pathogenic bacteria, particles of food, plaque, or tartar, while allowing the harmless flora of the mouth to flourish. 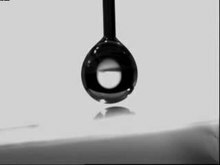 Being suspended in liquid and able to swim about, devices would be able to reach surfaces beyond reach of toothbrush bristles or the floss fibers. As short-lifetime medical nano-devices, the bots could be built to last only a few minutes in the body before falling apart into materials of the sort found in foods (such as fibers and other organic compounds). This would not cause any toxic harmful effects in the body, and there would be no need for toothbrushes. · Medical nanodevices could augment the immune system by finding and disabling unwanted bacteria and viruses. When an invader is identified, it can be punctured, letting its contents spill out and ending its effectiveness. If the contents were known to be hazardous by themselves, then the immune machine could hold on to it long enough to dismantle it more completely. With even more innovation, pathogens could be broken down into simple substances such as oxygen and extra cellular material which can be used for benefit of the body! · Devices working in the bloodstream could nibble away at arteriosclerotic deposits, widening the affected blood vessels. Various nano-devices could restore the strength of the arteries and veins. With such applications, many heart attacks would be prevented.